Designed with special occasions in mind! 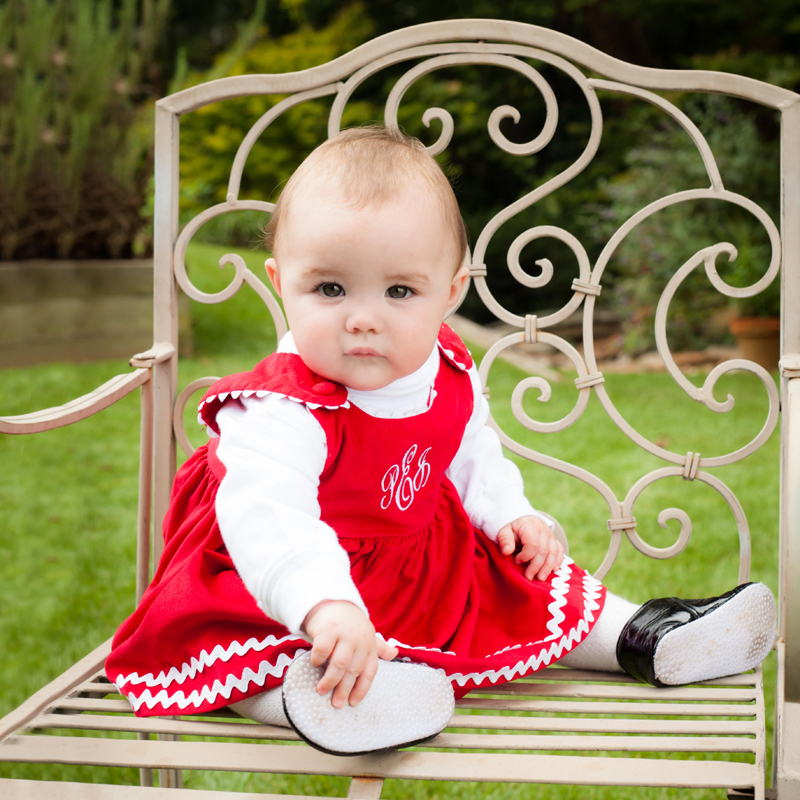 This beautiful red corduroy dress with white ric rac is made with the softest featherwale corduroy, perfect for any weather. 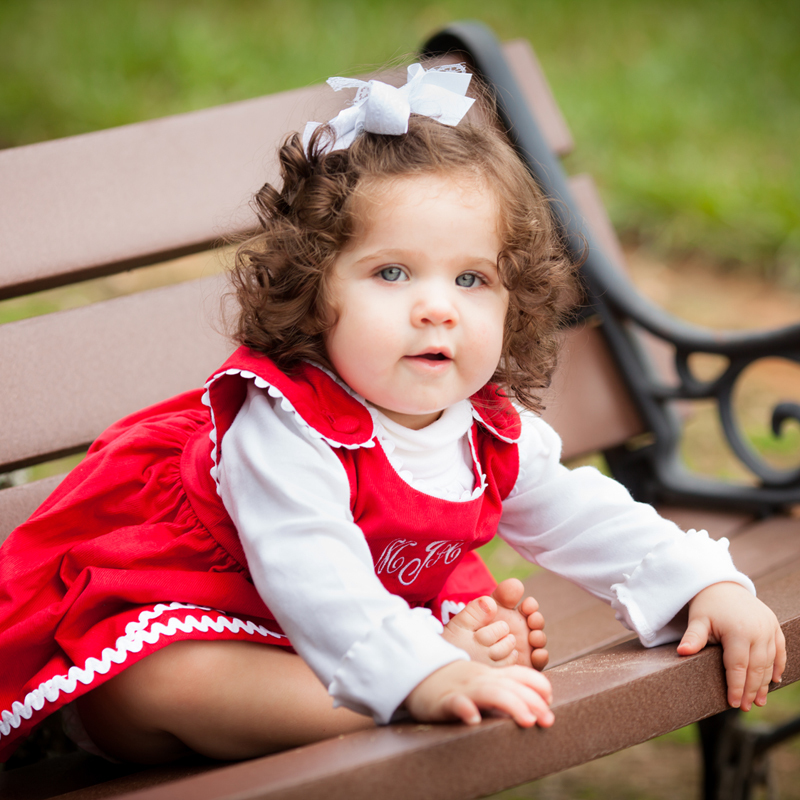 This baby specialty gift is great for the new baby to wear for her first Christmas or for siblings to wear for family photos. 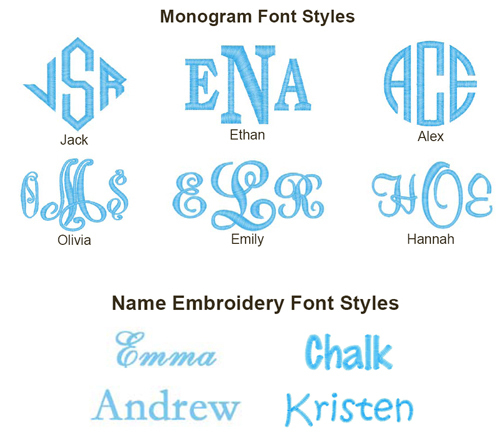 We love it embroidered with a name or a monogram. 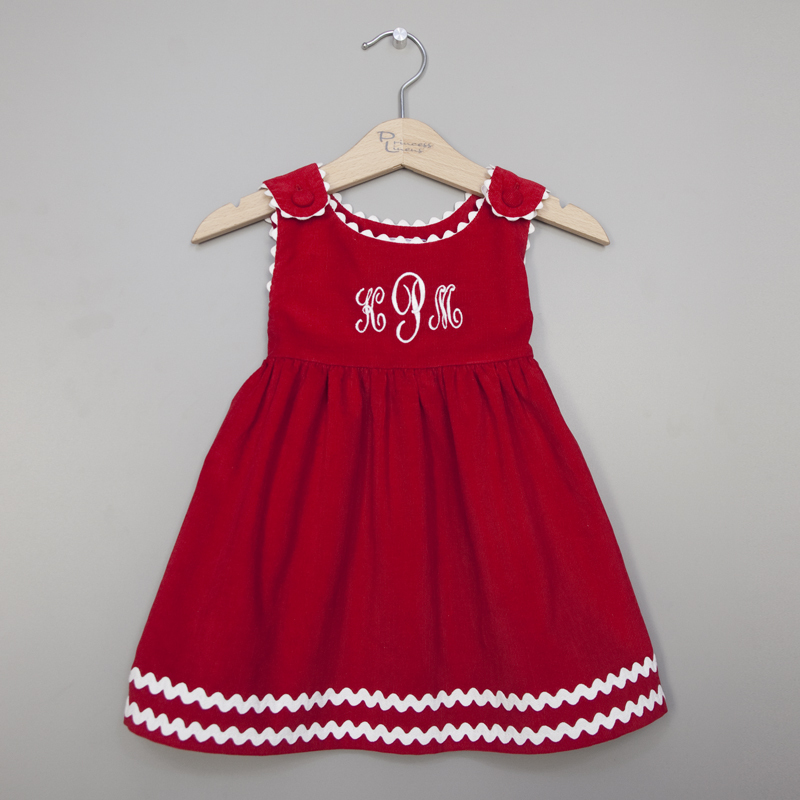 Made in the USA with a lined bodice, high waist and covered buttons, this dress is a classic monogrammed baby outfit or toddler dress. 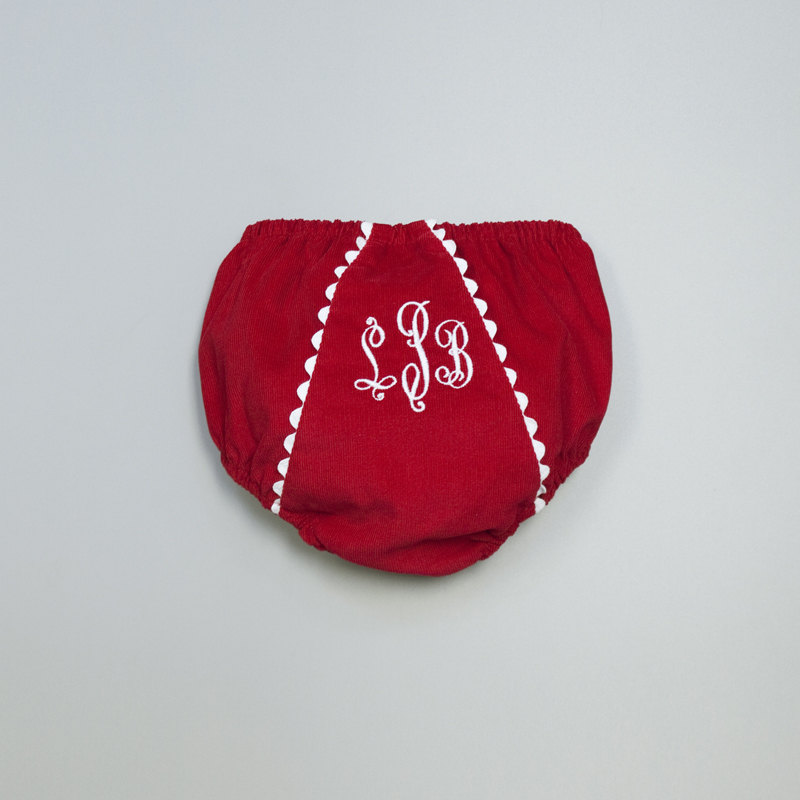 Complete the outfit by choosing a matching diaper cover. 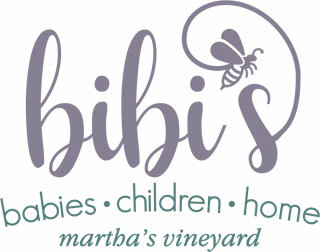 Looking for the perfect personalized baby gifts for twins? 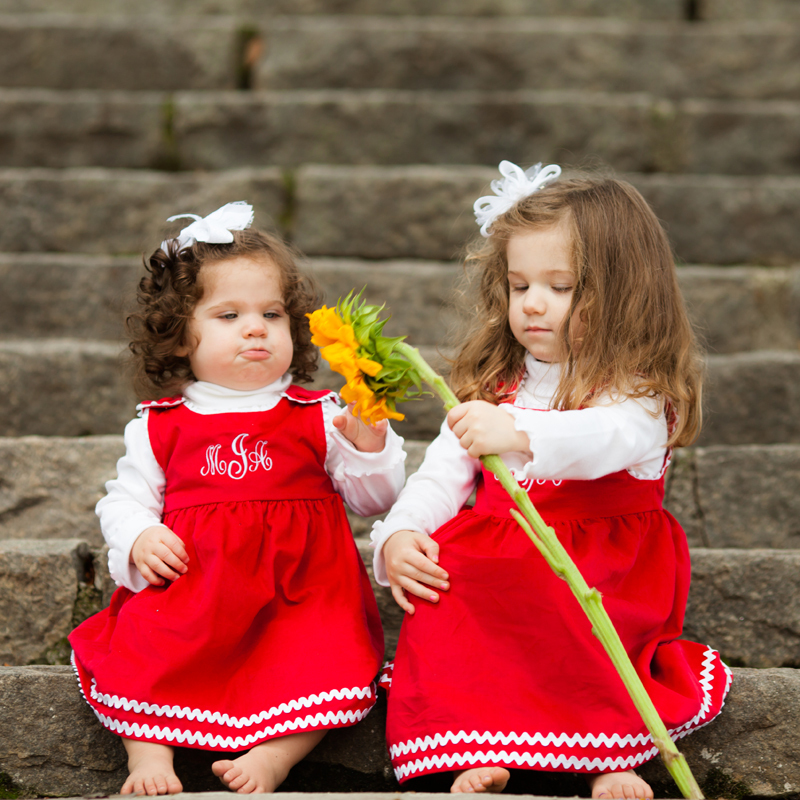 These dresses are ideal for two girls or pair with the coordinating john john for boy/girl twins.